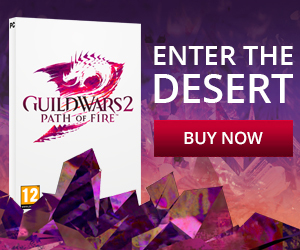 Guild Wars 2 was released just two months ago at a time of change in the real world: the seasons shifting with the seas of Tyria as Orr rose from the depths, bringing with it the undead hordes of Zhaitan. But in that month so many people have already mastered the art of PvP, scoured the world for secrets, and fought against the power of the Elder Dragons. Unfortunately, the changing seasons also meant that some of us had to go back to work or school, which puts a severe restraint on the amount of time available to save the world from evil dragons. I’ve definitely felt the burn myself, having been unable to even touch the game in a week because of deadlines constantly piling up. However, it’s not all bad as I’ve discovered. While it’s certainly not as good as being able to play the game on demand, I’ve found a few silver linings to the otherwise very dark storm cloud. 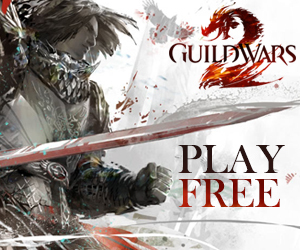 Guild Wars 2 is, by design, supposed to be accessible to all comers, from the people that powered through to level 80 to the people that take their time exploring the world and leveling. Because of time constraints, it’s fully possible to not have even a single character at level 80 (as crazy as that might sound), which makes no real difference apart from determining what zones you would be adventuring in alone. The game advertises the ability to party with your friends regardless of their level and still have a good time, and guilds are actively recruiting all of the time if you want a larger group of people to play with (or have no friends). Structured PvP is designed so that nobody in the game has an advantage over anyone else regardless of level, and WvWvW levels you up to 80 so you can fight on the front lines with the rest of your world. Even the pricing of the game itself allows for people with time constraints, since there is no monthly fee forcing you to constantly “get your money’s worth” out of the game, turning it into a chore. So next time you’re feeling down because you’re only getting a few hours to play, just remember to do this: have more fun in the time you have than everyone else, and know that you’re not getting the shortest end of the stick.